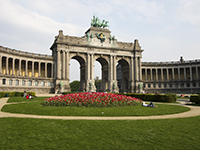 Belgium is a cultural colossus of Europe, featuring historical monuments such as the Manneken Pis landmark, as well as the magnificently designed St Bavo's Cathedral and the Royal Museum of the Armed Forces and Military History. Up to 1.8 million British tourists visit Belgium each year, which can be easily accessed from the United Kingdom due to its close proximity. Brussels, Belgium’s capital, is just under 200 miles away from London. Flying this trip can take as little as just over an hour, regardless of which airline you choose to book with. The train, leaving from St Pancras International, is also a quick jaunt that takes around two-and-a-half hours. Travel times get bumped up when travelling by ferry, with an overnight voyage from Hull to Zeebrugge lasting roughly 14 hours. Driving to Brussels from London, meanwhile, will take around five hours. Regardless of your choice of travel, your diabetes medication should not be greatly affected when travelling to Belgium. Iif you are unsure as how to best stick to your routines then you should discuss a plan with your diabetic team. The time difference in Belgium is one hour ahead of British Summer Time and two hours ahead of Greenwich Mean Time, which shouldn’t greatly affect how you manage your diabetes. The climate of Belgium is very similar to that across the UK. If you plan any activities in the sun, however, patients that take insulin should be aware that insulin absorption is enhanced in warm weather and should check blood sugar levels more often. The currency in Belgium is the Euro. It is advised to collect Euros before arriving at Belgium, to secure better exchange rates, while most major credit and debit cards are widely accepted in shops, restaurants and hotels. There are no mandatory vaccinations required to enter Belgium. Rabies is present in bats in Belgium, but this vaccine is only advised for those planning activities in remote areas that put them at risk for bat bites. Belgium is amongst the European countries that allow you to receive state healthcare either at a reduced cost or sometimes for free. Medication is available in Belgium, but payment is required from a pharmacy. However, possessing an EHIC card allows you to receive treatment at a lesser cost and this money can be recouped when you get back into the UK. Most pharmacies in Belgium operate on regular working hours, although a number operate 24 hours a day. The emergency services telephone number to be called in Belgium is 112. You should note which syringes are available in Belgium, with U-100 syringes the most commonly used. What language is spoken in Belgium? Flemish (Dutch) is spoken in Northern Belgium and French is spoken in Southern Belgium. Brussels is bilingual, but most locals, especially in a customer service environment, will have a basic grasp of English.